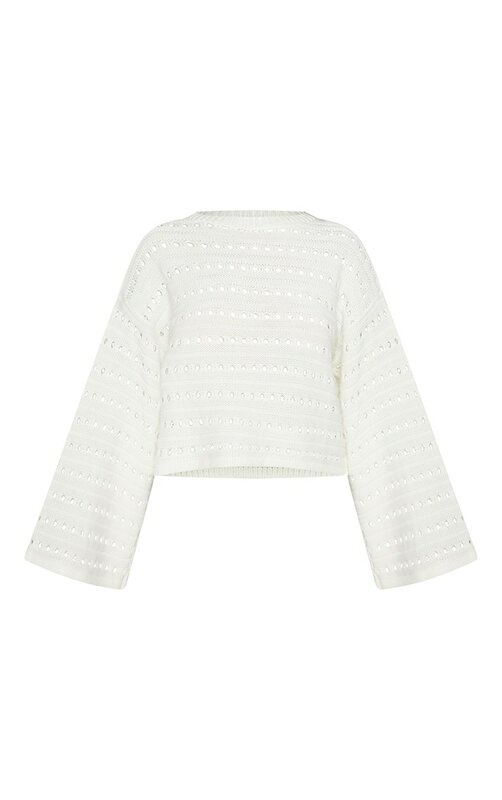 Get super cosy in this cute sweater. 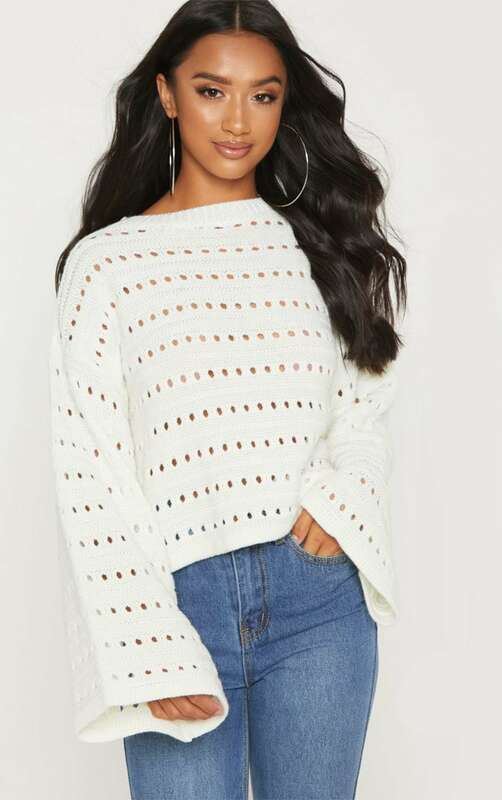 Featuring a cream open knit material with statement flared sleeves and a comfy loose fit, this is the perfect pick for the colder days. Team with your fave denim jeans and fresh white kicks for a look we're loving.